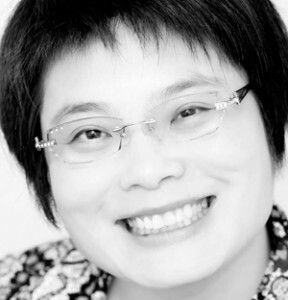 Zhen was the founding Editor-in-Chief of the Australian Journal of Acupuncture and Chinese Medicine, and was a Board member of AACMA. She is the first NHMRC TRIP fellow (Translating Research into Practice) in the area of complementary and alternative medicine, and leads the implementation of acupressure in the acute hospital settings. Zhen also has extensive experience in assessing Chinese medicine courses in Australia through her role in course assessment panels for various government bodies. Acupuncture has been found to be effective for postoperative pain and postoperative nausea and vomiting (PONV). Surgical patients prefer non-drug adjunct therapies. Furthermore, medical staff and nurses in perioperative field are willing to refer patients to evidence-based acupuncture. Unfortunately acupuncture has not been integrated into postoperative care although the guidelines recommend this non-drug therapy for some surgical related complications. Integrating acupuncture into the mainstream medicine requires more than evidence and willingness or positive attitudes of stakeholders. The process of integration is essentially a progress of implementation and requires knowledge and skills of implementation science. Our RMIT group, in collaboration with Northern Hospital, implemented acupressure for PONV. Incorporating implementation science with our learning from the project, we developed the world first implementation framework to enable the integration. The framework provides a step-by-step approach to help clinicians and researchers to examine the evidence for implementation, select the appropriate form of acupuncture/ acupressure, assess the settings, form teams and develop implementation strategies to meet the local needs for managing PONV. This framework will facilitate the uptake of perioperative use of acupuncture / acupressure to enable positive impact on patient outcome and reduce cost associated with management of PONV and postoperative pain. Chronic pain affects one in five Australians. Research into pain and pain management grows rapidly. Although about one in 10 Australians uses acupuncture for pain management in primary care, the effective use of this non-drug therapy in modern pain medicine is an area yet to be explored. In this workshop, A/Prof Arnold, a pain specialist, will present on modern pain research findings with a focus on how cognitions and behaviours modify pain. A/Prof Zheng will showcase a patient education brochure that has been developed by a multi-disciplinary team at RMIT University, and discuss on how the brochure can be used in acupuncture practice. Finally Dr Wong Lit Wan will explain the impact of the endogenous pain controls on individual’s response to acupuncture and on needle placement. There will be time for interaction.